I love this song so much! It’s so pretty and pretty easy to play. I’m new to all of this and i still don’t know how to strum. I’m just using my thumb. Is that ok? this is one of my favorite songs … ITS ON SPOTIFY. I REPEAT, IT IS ON SPOTIFY. i think that the best strumming pattern that u can use is single down strums its sound so pretty! but you all should use the one that you like the most. That is for the motivation! There’s a ukulele group at my school on mondays, and my crush goes to it, so I’ll just happen to have my ukulele.. It was too late. He asked out my best frifriend nd and my friend said yes. The same friend that told him I liked him. The same friend that told me she wasn’t looking for a relationship. ?? Sorry to disappoint y’all. But I do have good news, I’m pans (don’t judge) and I ended up finding out that one of my friends liked me and so now her and I are dating! anyone know the strummng pattern and how often do you change chords?? I saw Elise Ecklund’s tutorial of this song on YT and it’s very similar except for the G7 and Dm7 portion.. As per the change in chords this post is quite accurate.. I’m in love with it! Noobie here though! This is a message from UkuTabs.com. We only accept positive behavior and the deletion of your comment, Ash, is pending. Please refrain from saying inappropriate or rude things to other UkuWorld members. Thanks, have a great day. did you just call them twenty one poops? it’s pilots. they actually are one of the best bands in the alternative genere today in my opinion. 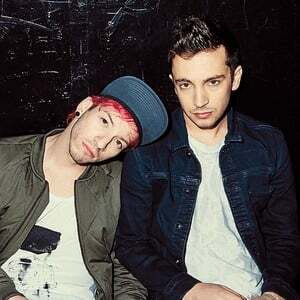 They are very good at what they do, and Tyler has an amazing voice. You can’t deny that. I understand they didn’t write the song, but you don’t have to disrespect the band. Yes i guess your right… It pretty rude. And no i cant deny that well i can but i wont. But they are taking credit for the song.